We’d love your help. 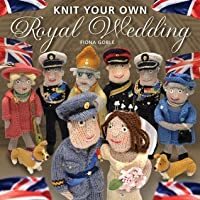 Let us know what’s wrong with this preview of Knit Your Own Royal Wedding by Fiona Goble. With a cast of characters including the Queen, Prince Philip, Prince Charles, Camilla, Price Harry, the Archbishop of Canterbury, a variety of wedding guests plus, of course, the happy couple themselves - and even a corgi - this is one wedding souvenir that will be a must-have for any keen crafter. To ask other readers questions about Knit Your Own Royal Wedding, please sign up. Clever book with cute, simple patterns. A must for any fan of the Royal family. The patterns are written up properly and easy enough to follow. If you don't feel like knitting up your own Royal family, patterns are simple enough to adapt for other projects. A must for every knitter? No. Is it riding on the Royal wedding madness? Yes. But who cares? It's a fun book with some decent patterns. It includes a pattern for the Queen's corgis. Fantastic. Where were these suit and dress patterns back when we had little dolls and dollhouses, and we used to make skirts out of hair scrunchies? An awesome knitted dress and hat would have been way better. 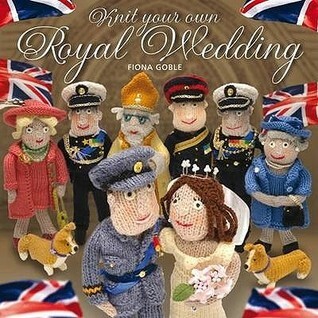 Such an adorable royal wedding souvenir - and a great stash buster for all that leftover yarn! I might just make Queen Elizabeth and her corgis for the fun of it. not sure if 'currently-reading' is correct. more like currently-knitting! i am loving this! i didn't think i'd be able to do these things, and so far i have only had problems with one piece! Great patterns to use for anyone who like knitting dolls. The book itself is hilarious!